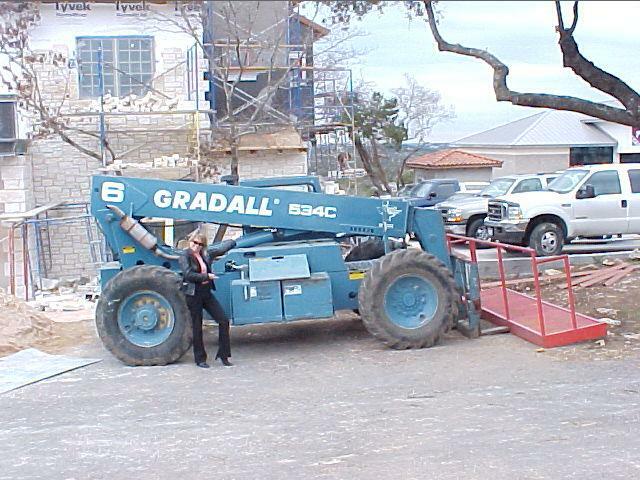 1997 Gradall 534 C-6 Extending Boom Forklift. 36’ reach, 6000# capacity, Cummins Deisel, Very low hours (2700) I have owned this machine since 3/10/00 and used it in residential framing years ago, but for the last 10 years, it just gets used lightly around the farm. It has been service regularly and is ready to go to work. I think it’s getting bored just hanging around the house. I will finance it to a local contractor or rent it by the day, week, month, year, etc. Call me for details at 512-784-3659.